Robbers Cave State Park is located in southeastern Oklahoma in the beautiful hilly San Bois Mountains. It is comprised of 8,246 park acres. Robbers Cave State Park is historically known for being a hide out for outlaws such as Jesse James. 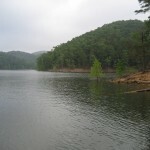 This state park is an excellent location for all outdoor lovers. Scroll down to see what this state park has to offer.